Team Hammer, Inc. is happy to confirm that it will again field Jake Lewis aboard an M4 ECSTAR Suzuki GSX-R1000 in the MotoAmerica Superbike class for the upcoming 2019 MotoAmerica AMA/FIM North American Road Racing season. Last year, the 2015 MotoAmerica Superbike Rookie of the Year again established himself as a week-in, week-out front-runner in his full-time return to the premier category. The lanky Kentucky native ripped off 13 top-five finishes during his 2018 campaign, including a podium performance at Utah Motorsports Campus. He ended the season ranked sixth in the title fight, just a single point removed from fifth. Having just turned 23 in November, Lewis is just starting to tap into his full potential despite an already heavily decorated racing résumé. Among his many accomplishments, Lewis was 2012 SuperSport East Champion, 2013 Daytona SportBike Rookie of the Year, 2014 Daytona SportBike Championship runner-up, 2015 MotoAmerica Superbike Rookie of the Year, and 2017 MotoAmerica Superstock Championship runner-up. This year will mark Lewis’ fourth consecutive season with M4 ECSTAR Suzuki. Team Hammer, Inc. is thrilled to announce the signing of Bobby Fong to contest the MotoAmerica Supersport Championship aboard an M4 ECSTAR Suzuki GSX-R600 in 2019. Fong has long been recognized as one of the most talented, exciting, and flat-out fastest riders in the MotoAmerica paddock. Throughout his career, Fong has logged nearly 40 AMA Pro and MotoAmerica podium finishes spread across five classes. 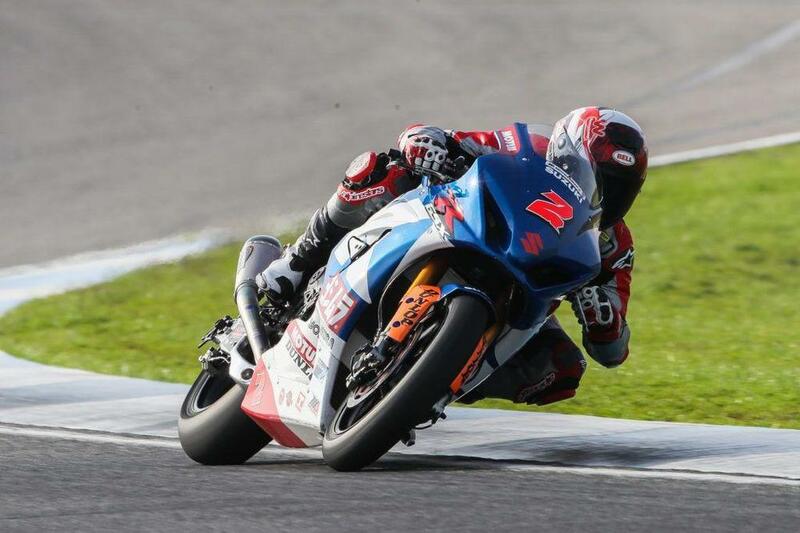 Fong was a certified giant-slayer in 2016 and 2017 as a Superstock 1000 competitor. During that span, he notched up 10 race victories and scored a pair of outright Superbike podiums despite his more restricted Superstock equipment. Last season, Fong continued to show front-running potential in the premier class with a fourth-place result to kick off the year. For 2019, the 28-year-old will return to middleweight duty, where he first made his mark as a professional. Fong burst onto the scene with a photo-finish Daytona SportBike (DSB) race win over Team Hammer’s Martin Cardenas in 2010, and logged double-digit podiums in DSB and Supersport competition over the subsequent several seasons. “We’ve been trying to put together a deal with Bobby for a number of years and the team has always knew he was a strong competitor. We needed a ‘Top Gun’ to come in with our great crew and fast bike and go for the championship,” said Team Manager Chris Ulrich. “Bobby is the right man for the job and now is the right time.